My favorite time of year is back! We've had some good days splitboarding lately. It's still snowing and getting deeper by the day. 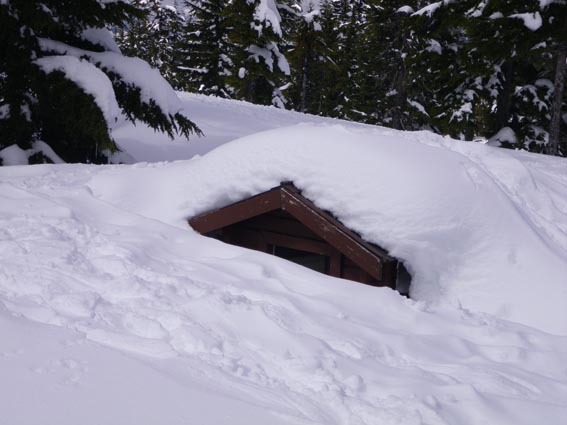 this outhouse got buried last year. hoping for a repeat. myslef, my wife kimmie, Leanne Pelosi and jeff keenan. Jeff Keanan. popping through the trees. Leanne and myself. 'testing' our k2 splitboards. dakine poacher pack and k2 panoramic splitboard. my favorite gear. -Snowpark. Pretty much the reason everyone goes to new Zealand in august. I managed to get 3 weeks of riding in New Zealand this summer. I showed up the day before the Burton NZ Open started (which was kinda stupid on my part) and left the south island right after a world cup a few weeks later. This year the weather was pretty good. Pretty much sunny the whole time. Lots of wind, but at least we could see. After last year's club field experience I was definitely hoping for some good storms in the Canterbury Mountains to go back up there but it just didn't happen while I was there. The last few years in NZ were pretty pipe heavy and I was looking forward to mostly hitting jumps at Snowpark. I did the 2 pipe comps that were going on and just missed the cut offs for both of them, but I didn't really ride pipe too much and all my boards were shorter than i usually ride. And they were all different boards that I was testing and didn't know which one I liked the most so I kept switching boards all the time. In the end I was super happy to just ride and hit jumps. My wife also was able to come down for the last week on the south island and check it out finally. So it was great to show her around. We headed up to Raglan on the North Island to get some waves for a few weeks afterwards. I'll get some north island photos up sometime soon. Here's a few windy runs from the world cup. Being 6'2" tall, the wind always gets me. First run is me messing around in practice and the other 2 are comp runs. yeah. not even married a month and i lost my ring. awesome. I just got home from 5 weeks in NZ and figured i should probably get around to posting some stuff about my trip. I'd be been in NZ for a week and they got a massive storm. It snowed pretty much everywhere in the country. It never snows down in the lower elevations there. So it was dumping. And my rental car had some transmission issues. It couldn't really make it up to the hill so that was a small problem for me. My rental guy told me he had an extra car in Queenstown that i could go get. Sweet, just have to hope the subaru can make it to Q-town the long way around (it's flatter). And it was puking snow, so i didn't really feel like driving over the pass. Anyhoof, I eventually make it down to Queesntown. I'm a little late and the whole airport is shut down (it's 5:15pm) due to the storm. Hmmmm. I'm supposed to meet a rental car guy in the airport. Well maybe i can call from the airport counter. So regardless of the very dark looking airport, the first door i walk up to opens and in i go and car the fellow from their counter phone, cause there's not a sole in the airport. So as i talking to him , the police roll up next to me. They wait for me to get off the phone. "did you set off the alarm? the roof caved in"
-uhh no i need to switch a rental car. they take my info in case i did make the roof cave in, and sit down. I need to call the rental guy back, very busy and doesn't want to help me due to the storm. -i'm from canada, this is mellow. eventually he agrees to meet me at the airport so we can get my new car. The cops by now have left me all alone in the airport, AFTER an alarm was triggered. I wait for a little while in the airport, then proceed to the door to meet buddy. Door's locked. hmmmm. other door's locked. and the other. ALL the doors are locked. Interesting indeed. Eventually I spot an emergency release button, so I climb up a wall and pop the door open. Victory! at least for the door. Buddy picks me up and we go to his rental car yard. All the cars are buried. No shovels to be found. So being Canadian, I proceed to dig out and brush off the cars with my hands. No problem. Couple minutes later and we've got the 6 cars out of the way and I'm off in my new car. I drive 20 minutes out of town and realize i've left my house key in the Subaru. Back to the airport to get those. Run over to the subaru and grab the key. I jump back into the new car (Mitsubishi hunk of crap SUV) and it won't start! WHAT?! So i get on the phone to the owner then to AA to come jump the car. "is there an immobilizer switch on the car?" no, started the thing twice already no problems and no sneaky buttons. I wait in the storm for an hour for the AA guy to arrive. We mess with the car for 45 minutes. No luck. hmmm. He asks me if there's an immobilizer on the car. no I looked everywhere. Obviously not, as it was on the key chain. The aftermarket crappy looking keychain was the immobilizer. You needed to unlock the doors to be able to start the car. The owner didn't even know. Stupid all around (myself included). So, hours later I'm finally back off to Wanaka. About 10 minuted form being home, I realize my finger feels a little light. NOOOOOOOOOOOOOOOOOOOOOOOOOOOOOOOOOOOOOOOOOOOOO. followed by 10 minutes of swearing. It was 11:30pm and snowing, I couldn't do anything about it. So I waited a while and called Kim to tell her the bad news. Surprisingly, she was ok with it as she thought I'd hurt myself. I was pissed. I've never worn or owned jewellery in my life and i lost my wedding ring inside of 3 weeks! Not stoked. My ring is made from Kim's grandparent's rings, melted down into a custom ring for me. There was no way i was losing that ring. At least not at the hands of a mere snowstorm. The following morning, I hatched a plan. Find a metal detector. The ring pretty much has to be in the car rental parking lot right? I start combing the parking lot through the 15cm of new snow. bottle cap, nail, washer, bolt, nothing, rebar in the cement, car. Metal detector works great at finding crap. I try for over an hour and I can't find the ring, but keep thinking that it's here in the snow somewhere. How can i make this detector work better? Pile up all the snow into 5 chest high mounds of snow and scrape it down to cement. Wand over the pile of snow with the detector. Pull 2 inches off that pile, chuck it on the ground and wand over it again. repeat, repeat and repeat until the pile is gone. More nails, more washers, another bottle cap. The detector just beeps and beeps and beeps. Annoying as hell. I'm gonna find this ring. 3-4 hours into the digging, another beep. Yeah, yeah, what am i going to find this time. As i dig through the snow i spot a familiar corner with familiar lines. NO WAY!! Found my ring! SOO STOKED! quickly text Kimmie to tell her the good news. It basically took me all day to find it in a nearly impossible situation. So happy to find my ring. I still can't believe i found it. Needless to say, after that little mission I barely wore the ring the rest of the trip.